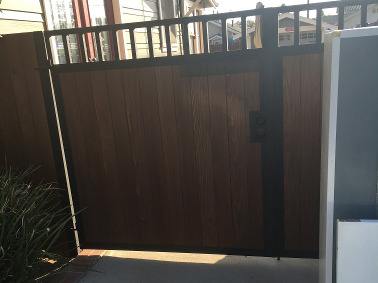 If your fence doesn't require full replacement but may have suffered damage from storms, car operator errors, or general wear and tear, you need Zastrow Fence & Masonry Co. in Long Beach, California. We can repair fencing of all types, including chain link, wrought iron, wood, and vinyl. If someone backs into your gate with their car, we can fix that. If a train derails and takes out 1,000 feet of chain link, we can fix that too—and have. In many cases, we simply refurbish old fencing and make it look new again. If your fence is unstable and leaning, we can help you stabilize it properly. No matter what your issue is, we will assess the problem and find the best solution to leave your fence standing straighter and looking newer. Zastrow Fence & Masonry Co.